The competition, not London Bridge, is falling down. London is delightful. A bit touristy, but definitely a place you should visit sooner than later. 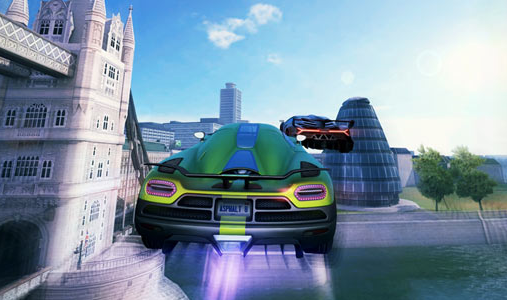 If you can't get there fast enough, take a virtual tour in Gameloft's Asphalt 8: Airborne.